Looking for mason jar paper? Look no further than this month’s free printable from 100 Directions! Print and color your own or print on colored paper for a quick and easy way to some gorgeous craft paper. Oh for the love of Mason Jars! This month’s printable, instead of sharing a project with a printable, the printable is the project! 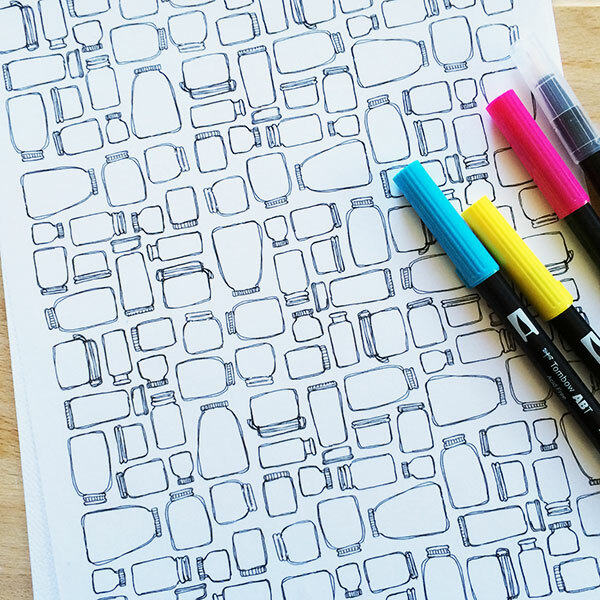 I’ve created a 2 page mason jar pattern set for you to download, print, color and use however you’d like. There are so many fun things you can do with patterns, just think of the creative fun you can have with a mason jar pattern! This printable prints as black line art. Leave as is, or color however you’d like. You’ll get 2 pages to print. One page is the full pattern and the second page is 3 different accent borders you can use to decorate your projects. In the example photos I used a watercolor pencils and (affiliate) Tombow water based markers to add a variety of colors. You can learn more about this technique on my blog. Check out this quick little time lapse video of me coloring this page – don’t blink, it’s super quick! 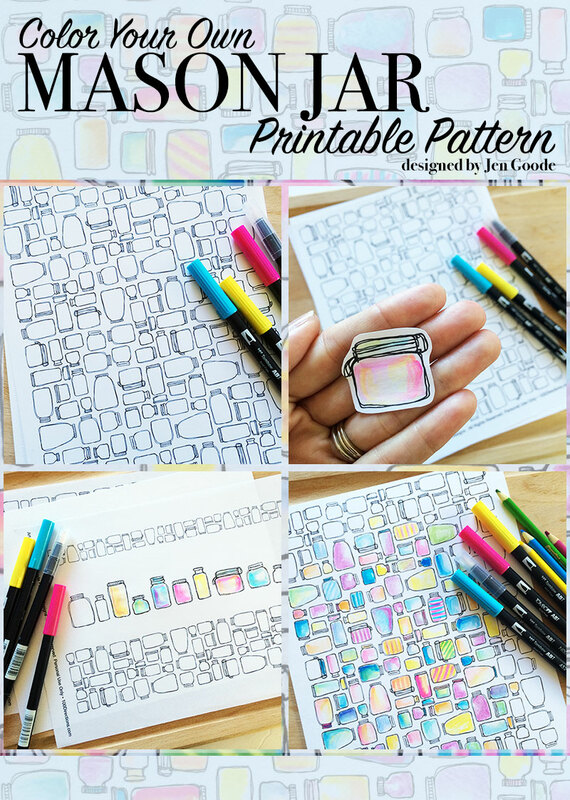 To download this printable mason jar pattern set, head over to my blog. I’d love to hear what you make this printable art! !